The table below provides a history of the level of reported Jamboree on the Air activity in the USA over the last four years. 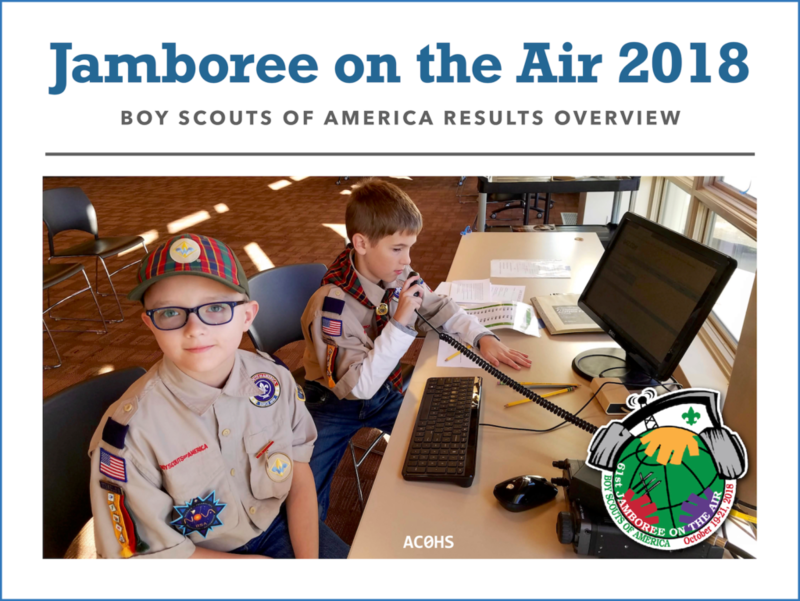 Here's the report on activity in the 2017 Jamboree on the Air within the USA. You can find the 2016 USA Jamboree on the Air report at these links. You can download the 2015 Jamboree on the Air Report in PDF format at this link USA JOTA 2015. It's four pages in A4 format but will squeeze down in Adobe Reader by selecting "fit" when printing. For the 2014 Jamboree on the Air Report you can also download it in PDF format at USA JOTA 2014 Report. The previous reports are at USA 2013 JOTA Report, USA 2012 JOTA Report, and USA 2011 JOTA Report.